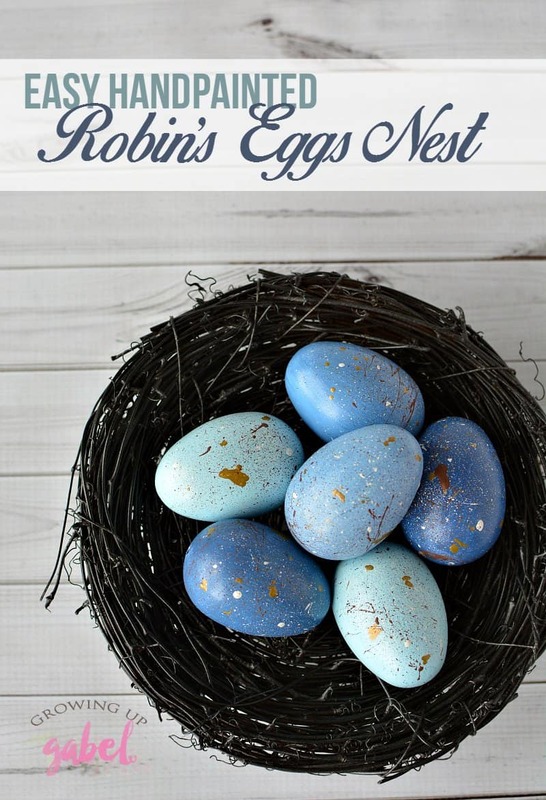 Make a decorative birds nest with DIY hand painted Robin eggs for a home decoration perfect for spring. A few years ago I read the book about gratefulness that had a photo of a birds nest with eggs on the front. I fell in love with the idea of a birds nest! 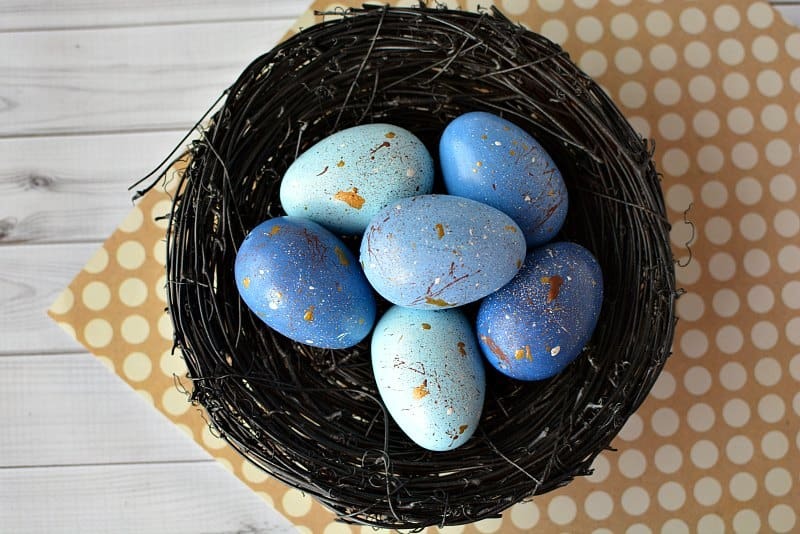 And nothing says spring quite like a nest full pretty blue robin eggs. 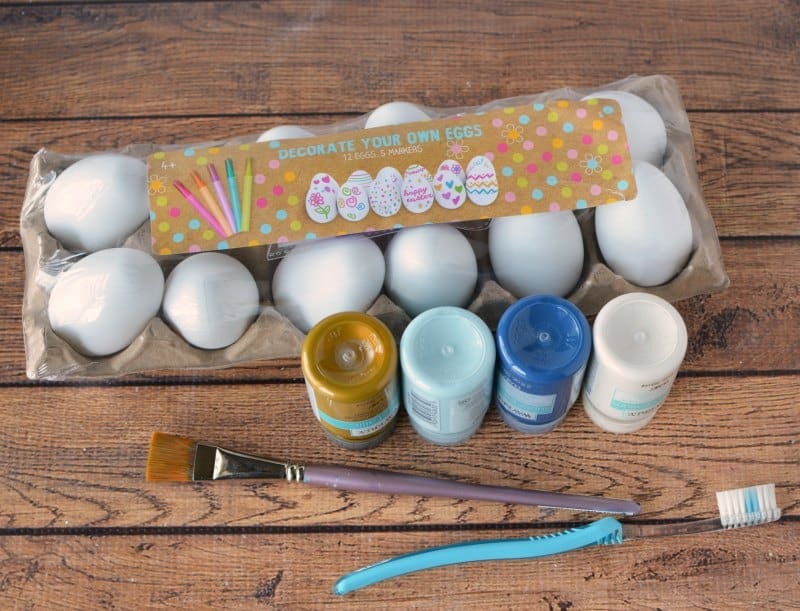 The eggs are super easy to paint yourself and make a nice decoration or addition to your Easter decor. Using several different mixes of blues, create about 3-4 different colors of paints. I used the 2 original blues in the bottle and then mixed the two items together to make 2 different colors. 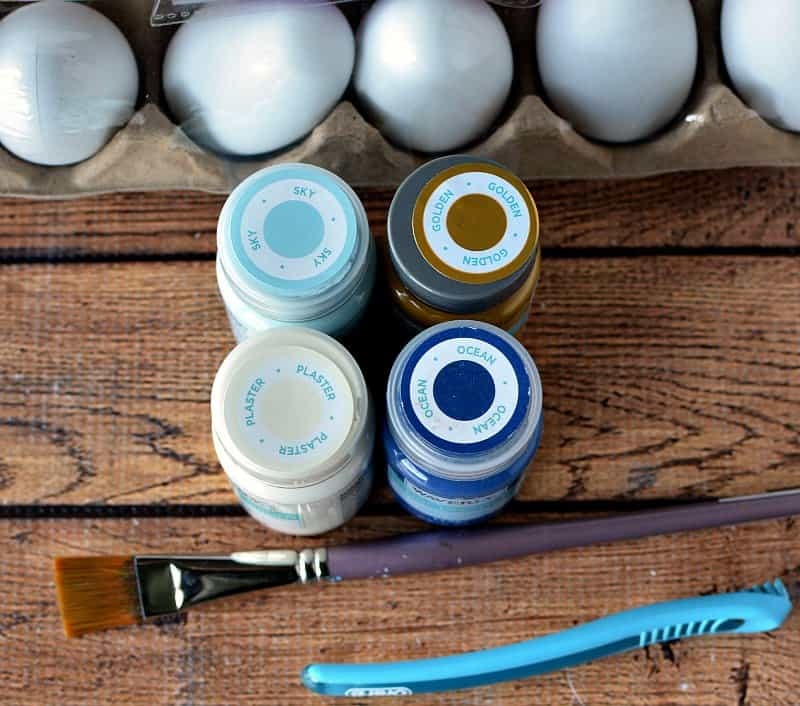 Paint each egg with two coats of paint, making sure to dry completely in between coats. You can use one color of blue or layer the colors for a little dimension and added interest. 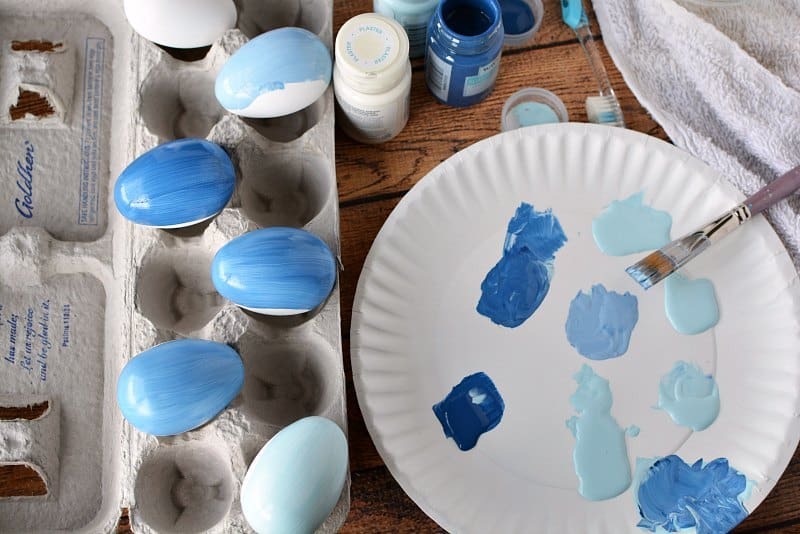 When finished painting the eggs blue, place them onto a flat and protected surface. I like to cover my area with wax paper, because if the paint sticks to it, it peels off easily without leaving a residue. I used the skewers to keep the eggs from rolling all over! You can do the same with your skewers or use toothpicks. Place a small amount of gold paint onto the tooth brush and run your finger along it to make it spatter. Repeat until all eggs are covered. 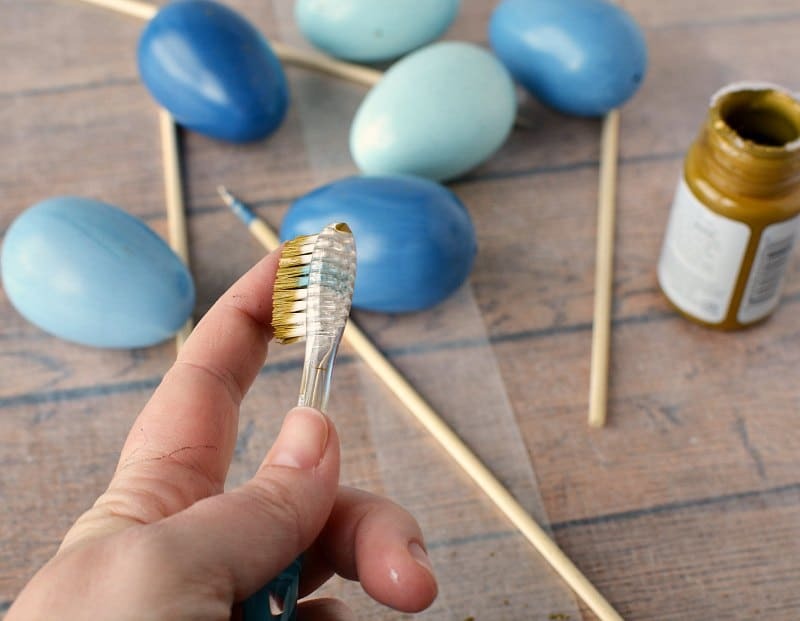 Clean your tooth brush and add white paint to it and splatter your eggs. And finally repeat the process with the brown paint. 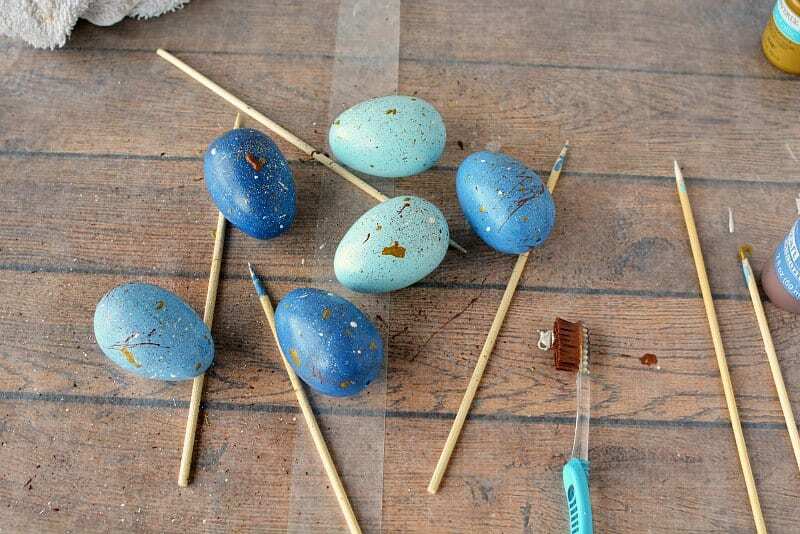 I wanted some larger spatter areas so I used my wood skewer, dipped into paint to create some larger dots and spots on the eggs. I didn't realize until I had half of my eggs painted that there was a hole in the bottom that fit a wood skewer fairly well. It wasn't perfect, so when I painted it, I made sure to paint it from the top down, rather than the bottom up, otherwise the egg would fall off the skewer! 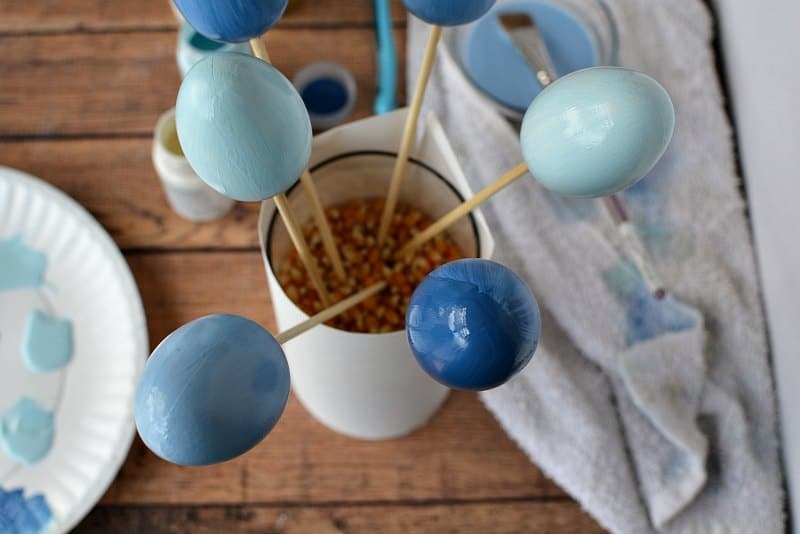 If using the skewer method to hold your eggs while you paint them, place them into a jar or cup of unpopped popcorn or sugar. They will stand up very well. Let set to dry completely. 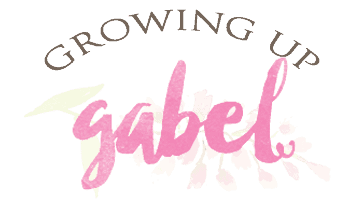 Once the egss are dry arrange them in a bird nest or other container to display. I painted my nest with rust-oleum's oil rubbed bronze spray paint to make it a little darker so the eggs would stand out more. 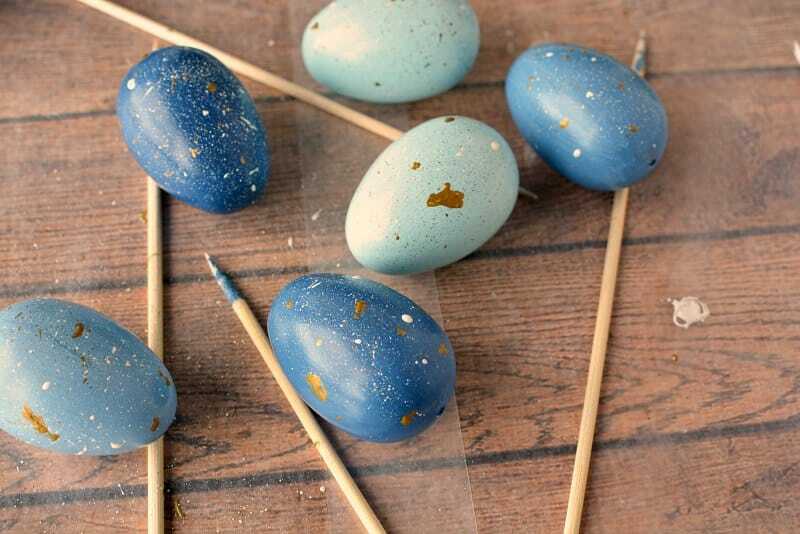 These are just so pretty…I’ll have to remember to make some for next Easter! Love this! So sweet! Thanks for sharing.